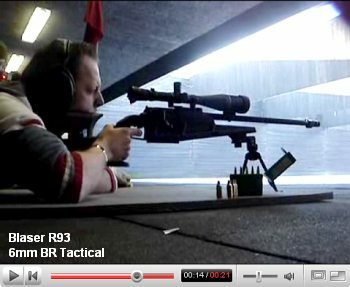 The Blaser R93 is a unique rifle, employing a patented straight-pull bolt with radial locking system. Using a pivoting short-throw bolt handle, the bolt slides straight forward and back to feed and eject ammunition. It’s simple and fast. 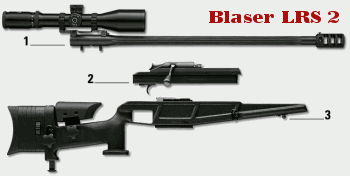 The Blaser R93 was designed as a modular system. This means the bolt can be changed from right-pull to left-pull in seconds, and barrels can be exchanged quickly and easily. This makes the R93 extremely versatile — invest in one action and stock and you can shoot a multitude of chamberings. Factory barrels in 28 different calibers are offered. 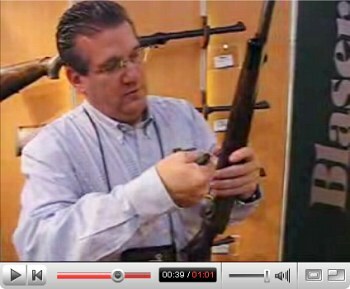 In this video, Blaser’s Keith Lay demonstrates how a Blaser barrel can be switched in under a minute, with a simple T-handle wrench. Share the post "Fast-Cycling Blaser R93 Offers Easy Barrel Switching"
Here at AccurateShooter.com we use Canon digital cameras for most of our photography. They are reliable, they take nice sharp images, and they come with many sophisticated features at a bargain price. The latest A-Series PowerShot IS cameras offer especially good “bang for the buck”, offering sharp lenses, good video capability, and built-in image stabilization. Many readers may think they don’t need video capability, but once you start capturing video, you’ll see it has many important uses for a shooter. 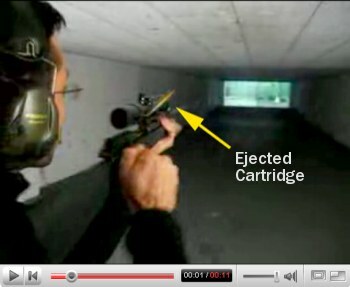 You can record your gun handling techniques while shooting. This will reveal flinching or poor follow-through, and you can see if you are maintaining the same body and head position with every shot. You can also use the video to record comments on range conditions and your load performance — it’s easier than writing down notes in a journal. Right now, NewEgg.com is selling the Canon A 570IS for just $139.99. That’s a great deal, and for just $5.99 more you can get a 1 gigabyte memory card (highly recommended!). This camera features built-in image stabilization, 7.1 megapixels, and can shoot at up to 1600 ISO–allowing you to get good images even in very low light. Like most Canon digital cameras, the A 570IS has excellent auto white balance (so you don’t get those yellow- or green-tinted photos when shooting indoors), plus built-in sharpening, and color saturation. The A 570IS features a large LCD viewing screen, plus a regular view-finder. Conveniently, it uses easy-to-find AA batteries. 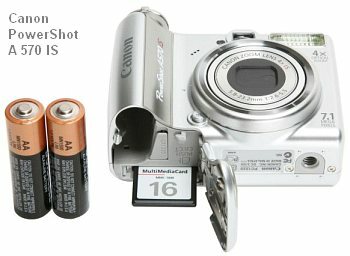 Share the post "Canon A570is On Sale for $139.99"